When you need a shower pump for heavy duty situations this is the pump that packs the punch. Designed for situations where power is the priority this shower pump is surprisingly quiet. 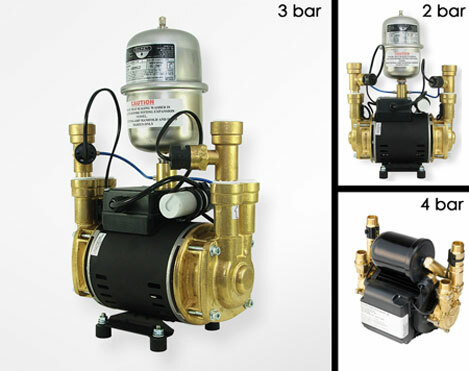 Available in 2 bar, 3 bar and 4 bar power choices each pump has long lasting induction motors that are maintenance free. * Negative head shower pump. * 2, 3 & 4 bar choices.